The beneficial qualities of biosolids as a soil amendment are generally recognized. When added to soil, biosolids contribute nutrients and improve soil properties. Depending on agricultural needs, these benefits are even greater with composted biosolids, which enhance the physical, chemical, and biological properties of soil. Noncomposted biosolids have a high nutrient availability and decompose and mineralize quickly and easily in soil. This rapid decomposition can provide large amounts of nitrogen and phosphorus for immediate use by crops. Composted biosolids, on the other hand, retain highly stable organic materials that decompose at a slow rate, therefore releasing nutrients at a slower and steadier rate than do noncomposted biosolids. 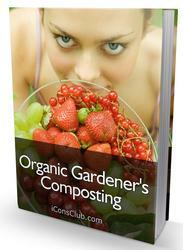 Composted biosolids thus provide a long-term source of slow-release nutrients. Compost is just one form of biosolids that can be used beneficially. The combined potential of using either composted or noncomposted biosolids is great. By addressing the environmental and public health issues related to biosolids, the Part 503 rule has greatly encouraged land application of many of the other types of biosolids, including advanced alkaline stabilized, heat-treated, and pelletized biosolids, as well as less highly processed liquid bio-solids and biosolids cake. The biosolids may be considered as lime fertilizer when lime is used as a reagent for sludge processing. In addition to nitrogen and phosphorus, biosolids contain minerals and micronutrients necessary for plant growth. The minerals contributed by biosolids include calcium, silica, aluminum, and iron. Micronutrients increase the speed of metabolism during plant growth, and their deficiency brings a breach in plant growth. One of the micronutrients in biosolids, copper, increases the harvest of wheat on marsh and sandy soils. Manganese contributes to an increase in sugar, beet, and corn harvests. Deficiencies in iron and zinc bring about a serious breach in the growth of cotton plants and fruit plants such as grape vines. Boron is vital for crops such as flax, sugar beets, cotton plants, feed legumes, peas, clover, alfalfa, and several other fruits, berries, and vegetables. Micronutrients also contribute to the assimilation of organics in biosolids by plants. However, excess concentrations of micronutrients such as boron, molybdenum, nickel, selenium, copper, and zinc exercise a negative influence on the growth and quality of plants. achieve compliance with federal regulations.) The expected increase in the use of biosolids is due to improvements in the quality of biosolids, regulatory influences, cost considerations, and public perception issues associated with disposal. Over the past 25 years, industrial pretreatment and pollution prevention programs have substantially reduced levels of metals and other pollutants going into municipal wastewater treatment plants, which in turn have improved the quality of the sludge produced. 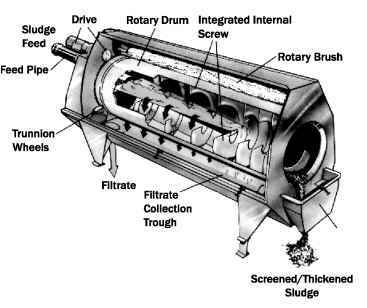 The marked improvements in sludge quality have encouraged treatment plants to process their sludge further, such as composting or thermally drying it. When biosolids achieve the low levels of pollutants that make the widest distribution of biosolids products possible, processes such as composting and thermal drying become more attractive. Regulatory influences on biosolids use include the indirect effects from the Clean Water Act of 1977 and 1987 and the Ocean Dumping Ban Act of 1988, and the more direct effects of the 40 CFR Part 503 rule. Part 503, codified in 1993, clearly defines biosolids requirements for use or disposal and has become a useful tool for biosolids managers in marketing efforts. The Part 503 rule helps biosolids managers identify exceptional quality biosolids (i.e., biosolids that meet the most stringent metals limits and class A pathogen and vector attraction reduction requirements). Exceptional quality biosolids meet the same regulations as those for any other fertilizer product. Therefore, the rule provides a useful public relations tool that has opened the door for greater use of biosolids as a fertilizer and soil conditioner and has also expanded the potential markets for products such as compost made from biosolids. The increase in biosolids use associated with implementation of the Part 503 rule is measured according to a study performed by BioCycle magazine. This study notes that 37 states have regulations in place that are the same or more stringent than Part 503 (Henry and Brown, 1997). Thirty-four states regulate exceptional quality biosolids in the same way that they do fertilizers. Both of these regulatory conditions provide incentives for biosolids recovery and reuse by many communities. Composting programs on the community level, such as in Portland, Oregon; Palm Beach County, Florida; Hampton, New Hampshire; and St. Peters, Missouri, have lowered the cost of composting wastewater sludge by combining sludge with yard trimmings in their composting operations. The Part 503 biosolids rule, Part 258 landfill rule, and various state requirements have driven up the cost of sludge disposal. Part 503 requires relatively expensive pollution control equipment and management practices, such as groundwater monitoring, thus encouraging biosolids recycling rather than disposal. Furthermore, public concern about the environmental and health impacts of incineration has made this disposal option even more costly and difficult to undertake. Any increased costs of biosolids disposal are expected to promote beneficial use. Another factor influencing biosolids beneficial use is public perception. The ability to market biosolids will be determined by the public's perception of the safety and value of biosolids recovery. With the evolution of regulatory standards for biosolids, marketing and promotion of biosolids or products made from biosolids have improved public acceptance of the beneficial use of biosolids.